I couldn’t ask for a better anthology of contemporary horror. And it’s a generous anthology, too. Fifteen stories (sixteen if we include the hidden short story in the Acknowledgments), all of them written and constructed with superb skill. 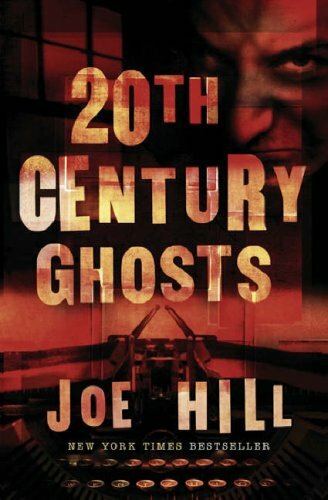 Gorgeous language, with author Joe Hill settling with the subtle instead of the hysterical. Not hurrying, not resorting to cheap tricks. I was so happy to have gotten my hands on this book. “Best New Horror” is a self-reflexive delight, “Better than Home” heartbreaking, “Last Breath” simple and spooky, “My Father’s Mask” a disorienting tale of masks and made-up games. “Bobby Conroy Comes Back from the Dead”, starring a pair of extras in a George Romero film, is surprisingly sweet. I was convinced Hill could make any subject work, because he even made “Pop Art” work – work so well it could bring tears. And “Pop Art” is about an inflatable boy. (Seriously.) The anthology has some body horror (“You Will Hear the Locust Sing”), some vampires (“Abraham’s Boys”). “The Widow’s Breakfast” is a story told through the eyes of a hobo. No ghosts here, but my, what fantastic construction. The collection closes with an engaging novella, “Voluntary Committal”, which you just have to read. All of the stories have heart. That’s what most horror writers forget. You need the heart, to make the horror more devastating.